Education provision for 3-11 year olds. Any additional services/activities offered at the school will be listed under 'Activity' on the Service Directory. How does the school/college identify children with special educational needs? At Chaloner Primary School we offer an inclusive curriculum to ensure the best possible progress for all of our pupils whatever their needs and abilities. We aim to identify children with special educational needs as early as possible in their school career. Class Teachers will monitor any concerns they have about a child before discussing these with the SENDCo. The SENDCo will then contact the parents/carers about the child’s needs, offering them a visit if required. Should a child be registered with Special Educational Needs they will be given an SEN Support Plan. These SEN Support Plans will be reviewed at least three times a year, with the parent/carer and the child, if it is appropriate to include the child. How do we involve parents in planning for those needs? Formal and informal meetings, including Parent Consultation Evenings. Parents are invited to share their thoughts on the termly SEN Support Plan. Who in the school/college will support my child and how will this be monitored and evaluated? The School’s SENDCos will have overall charge of all students on the SEND register and will oversee monitoring and evaluation of progress and provision. All teachers at Chaloner Primary School have a responsibility for teaching, monitoring and evaluating children with Special Educational Needs. Children who are registered with SEND, in line with the SEN Code of Practice 2014, will have termly planning and evaluation reviews. Children with an EHCP will have yearly progress reviews with the Head Teacher and SENDCos. A range of professionals involved with the child contribute to the process. Should children need extra support the school has links with a number of external agencies that work within school to assess and provide support and advice to help each individual child try to achieve their potential. Parents will be consulted and permission requested before children work with these external agencies. Any external agencies working with children will provide verbal and written feedback, reports and advice which will be shared with the SEND staff, class teacher and parents so it can be acted upon. How are the decisions made about the type and amount of provision a young person will need? by the class teachers with support from SENCo and the Head teacher. through Multi-Agency discussions where appropriate. through the referral process by requesting additional support from an outside agency, such as an Educational Psychologist, Speech Therapist . An assessment process will then deliver a planned programme of support for the young person. How will the curriculum be matched to the needs of the young person? Overall curriculum structure is directed by the Government and the National Curriculum. All children have an entitlement to access and study a full curriculum. Differentiation is the responsibility of all teachers. Informed by the data and information on each student, teachers plan for and deliver using different styles of teaching and meeting individual needs through a range of strategies. How accessible is the school/college environment? There is disabled parking access at the front of the school and all visitors are able to access the main entrance via an accessible entrance. The school is entirely based upon one floor so stairs are not an issue. There is a disabled toilet in the front entrance equipped with a hoist. Doorways around school are wide to allow wheelchair access. We have links with the multi-cultural service and interpreters are engaged as and when necessary to help us communicate with parents whose first language is not English. How will both the school/college and the parent know how the young person is doing and how will the school support the young person's learning? Parents are encouraged to support their child’s learning at home. Both Literacy and Numeracy homework is provided and children are expected to read every night. Parents are invited to an annual meeting to review their child’s EHC plan. SEN Support Plans are reviewed termly and a copy shared with parents, parents have the opportunity to discuss this if they wish. Parents Evenings are held three times a year so parents can meet with their child’s teacher and look at their work in different subject areas. Written reports are given annually in the summer term and parents also receive written termly progress reports in the Autumn and Spring terms. The school monitors progress through a cycle of assessment, reviewing data and interventions. Parents are invited into school regularly to share in a range of activities. We have Parent Governors and a P.T.F.A. that parents are very welcome to join. School encourages parents to join in with classroom activities and holds ‘Family’ events where parents can work in school with their children on a range of activities. What support will there be for the young person's well-being? In School we have two qualified first aiders; they are able to administer medication, if it is required, during the school day. All Teaching Assistants have the Paediatric First Aid Qualification. Staff are trained, as necessary, to support children that have diabetes or that need epipens in school. Children have daily access to a Learning Mentor ( Mrs A Bailey) in school should they need to talk with someone about any problems they may have. The school also employs a Trained Counsellor (Mrs A Pyne) who works with groups of children or individuals as necessary. There is a School Council that meets regularly to discuss key issues affecting children and class councillors are voted in by the children. The Councillors feedback ideas and collect concerns to share at meetings of the Council. What specialist services and expertise are available at or are accessed by the school/college? All teachers have Qualified Teacher Status and Teaching Assistants also have relevant qualifications up to HLTA status. There is an ongoing programme of professional development to ensure teachers and teaching assistants meet the special educational needs of our pupils and stay up to date with current research into teaching and learning. That includes training on the curriculum. The SENDCos attend all relevant training to ensure that all policies and practices are up to date. How will the young person be included in activities outside of the classroom including school/college trips? Chaloner is committed to providing all pupils and students with equal access to an enriched and extended curriculum. There is the opportunity for the children to experience a residential holiday during their time in Upper Key Stage Two. Visits to local theatres, art galleries, historic sites etc. are used to enhance and enrich the curriculum. Visiting artists and theatre companies allow all students access to cultural experiences. A variety of after school clubs cater for a range of abilities and include; chess, computing, football, fitness, dance, art, choir, book club, Lego and gardening clubs. How will the school/college prepare and support the young person to join that particular school/college and how will it support the transition to the next stage of education and life? Most children enter school in September at Reception age from the School Nursery. At this point they are already familiar with the Early Years setting and Staff as the Nursery and Reception class operates as an integrated unit. Parents will have the opportunity to experience a school lunch with their child before they start in Upper Foundation and we also hold a parents’ meeting. Transition from KS1 to KS2 is also a smooth process for the children. The process of transition from Primary to Secondary begins when the children are in Year 5, when parents make their choice of Secondary School. Our Year 6 staff liaise with the secondary school staff regularly and share information to ensure a smooth transition. All SEND information is passed on to the Secondary SENDCo in these meetings. Y6 children take part in a period of extended transition in their new school. Secondary staff will visit school to meet and work with the children in the Summer Term. How are the school/college's resources allocated and matched to the young person's special educational needs? All resources are allocated to and matched using the data that the school holds about each student. This includes planning for these interventions with parents and students. The Governing Body allocates funding in consultation with school staff. The school/college would use this part of the document to identify key points of contact or how further information can be accessed eg. 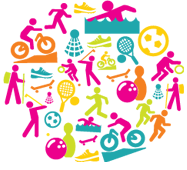 The Council Local Offer website link.